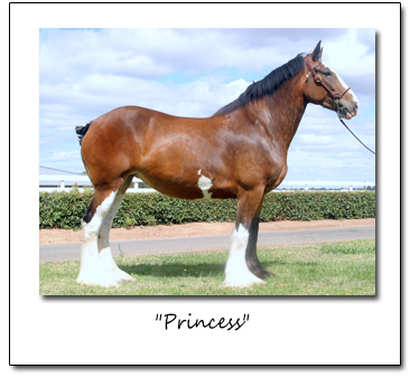 Princess has impeccable bloodlines going back to Olde Pine Tree Winston. She is 17.1 hands, dark bay with 3 white legs, well proportioned with a great front end. 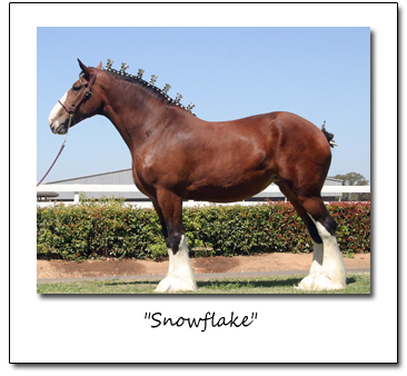 Snowflake is a well-bodied mare with size and grace; she stands a good 18 hands barefoot with the perfect length of neck. 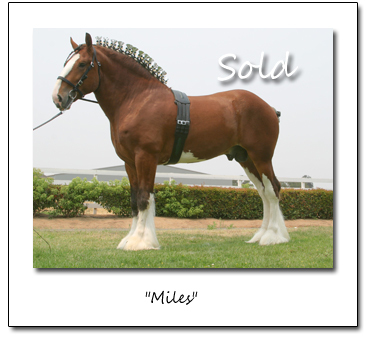 She is a perfectly colored bay with 4 white legs and a wide blaze. 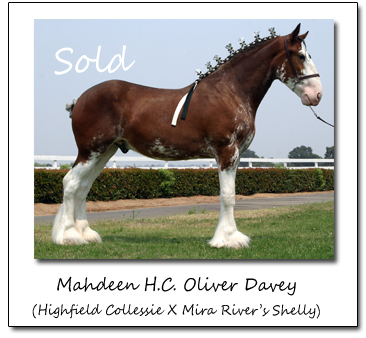 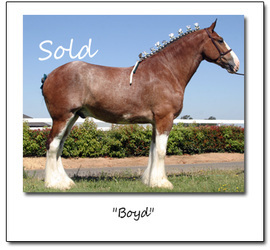 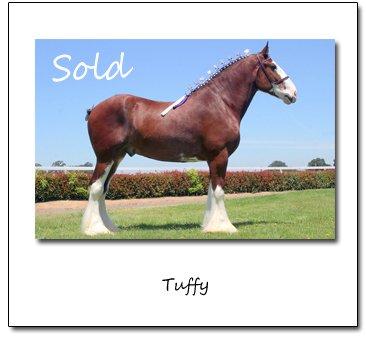 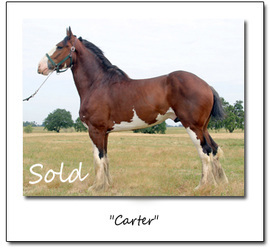 She was one of the high selling mares when she went through the National Clydesdale Sale a few years ago and comes for impeccable Anheuser-Busch bloodlines.